Roof Snow Removal & Ice Dam Removal in Worcester MA | Nor'easter Roofing Inc.
What are Ice Dams and How do I Remove them? It’s that time of year again in New England, time for ice cold temperatures and lots of snow! We’ve already had some wild weather this winter and we’ve got a few more months left before it starts to warm up. Winter in Massachusetts is a tough time of year, and it can be incredibly tough on your roof. Heavy snow and ice buildup can from Ice dams and cause damage to any roof. An Ice Dam is the accumulation of ice and snow in the lower edge of a slopped roof, also known as the eaves, and is a common issue for homes in Massachusetts and New England during the winter. 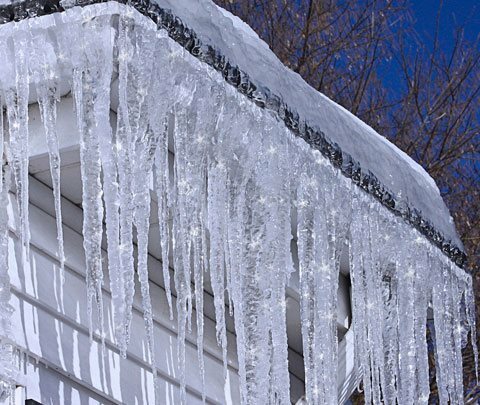 If ice dams are neglected they can create leaks in the roof and eventually cause water damage in the attic and throughout your home. It is important to have the Ice Dam removed before it causes costly water damage to your home. You can find more information about Ice Dams and removal at our website.